Offering more than 250 undergraduate degree programs, 11 graduate degree programs, several professional certificate programs and more than 200 clubs and organizations, Weber State University has plenty to keep its 26,000 full-time and part-time students busy throughout the school year. Freshmen with excellent academic records are considered for the following programs: Presidential-Aletheia Scholarship (four-year waiver of in-state tuition and fees), High Honors, Honors and Achievement Scholarship (one-year waiver of partial in-state tuition) and the Emerging Leaders Scholarship (one-year partial waiver of in-state tuition). International students planning to live on campus can apply for the WeberEdge International Scholarship, which gives students the chance to pay the equivalent of in-state tuition and fees after completing 24 credit hours at the university. There are over 32,000 (Fall 2014) undergraduate and graduate students enrolled at the University of Utah, which offers over 100 undergraduate majors and more than 92 graduate degree programs. Qualified freshmen who are Utah residents are automatically considered for the following merit-based scholarships: Honors at Entrance Scholarship ($2,500 to $5,000 annually), Sterling Scholar Award ($5,000 annually) and the President's Scholarship, which covers the cost of resident tuition and fees, and includes an additional cash award. Admitted freshmen who are non-Utah residents are considered for the University Nonresident President's Scholarship and the Nonresident Academic Full Tuition Scholarship. Both scholarships cover the cost of nonresident-tuition, with fees and an additional $750 cash stipend included with the President's Scholarship. In addition to having an undergraduate research program that is the second oldest in the country, Utah State University offers its students 168 undergraduate degrees, 94 undergraduate minors, and 143 graduate degrees. Qualified in-state freshmen are considered for the following merit-based scholarships: Presidential (full tuition and fees for four-years), Dean's (full tuition for two years), Scholar ($3,200/year for two years), Merit ($2,500/year for one year), and Achievement ($1,250/year for one year). Out-of-state freshmen may also be considered for the Presidential and Dean's scholarship for the same benefits. At the Scholar level, qualified out-of-state freshmen receive $13,000 for the first year and $3,200 for the second year. Most of the affordable schools in Utah are public colleges and universities, and a lot of state financial aid packages cover those institutions. Unfortunately, the state doesn’t provide a lot of aid, but there are unusual scholarship programs that encourage high school achievement (e.g. early graduation, early associate degree). National Guard members and veterans may also be eligible for grants and waivers that can make college that little bit cheaper. Utah students are able to easily transfer lower division core courses between Utah institutions. The state also offers statewide guaranteed transfer of associate’s degrees. This makes it simple for most Utah students to get credit for courses completed at two year institutions and other public higher education institutions in the state. In Utah, students are able to complete a transferable core of general education credits. Each institution’s general education core ranges from 30 to 39 semester credits. Students who have completed the core general education credits with one public Utah institution will be accepted as having completed the general education requirements for all public institutions in the state. Additionally, students who have earn an associate’s degree will be accepted as having met general education requirements for Utah institutions. Upon acceptance, they will be given junior standing. Using Transfer Utah, students can see how course credits earned at a public Utah institution will transfer to another institution in the state. You can even find out if your credit will be treated as an equivalent, or if it will be an elective credit. This is a great tool for mapping out your college transfer courses in Utah. The Utah System of Higher Education is responsible for state financial aid programs, and it runs Step Up Utah—a website that is aimed directly at Utah students and parents seeking information about college. Here you’ll find ways to prepare for college (e.g. concurrent enrollment), advice on applying for college (e.g. links to university applications), guides to paying for college (e.g. a scholarship toolkit) and much more. 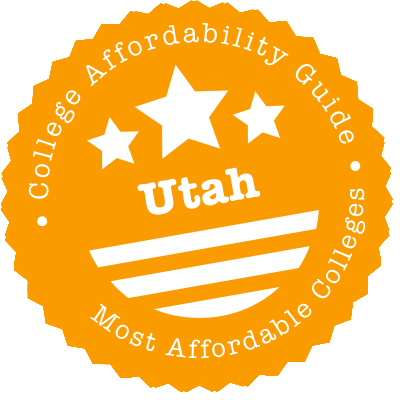 Many state-funded grants and scholarships are limited to Utah System of Higher Education (USHE) public colleges and universities, so it’s worth looking at this list. Other useful websites to bookmark include the Utah Educational Savings Plan (UESP), which is the state’s college savings program, the USHE Majors Guide, which guides students through majors/degrees offered at public colleges and universities in Utah, and Utah Futures, which is a one-stop career and college readiness website for recent graduates and adults. Utah Futures has a very useful college scholarship search. If you’re thinking about loans, the Utah Higher Education Assistance Authority (UHEAA) administers loans that have originated under the U.S. Department of Education’s William D. Ford Direct Loan Program and Federal Family Education Loan Program. UHEAA also offers low, fixed-rate Complete Student Loans to Utah residents. Summary: HESSP grants are available to Utah undergraduates who qualify for Pell Grants. Funds come from the state and are intended to supplement inadequate grant assistance from federal financial aid programs. Awards amount vary depending on funding. In 2015-2016, awards were up to $400 per term. Summary: This scholarship is awarded to Utah students who graduate early from high school. To receive the scholarship money, students must enroll in a full-time program at an eligible Utah postsecondary institution within one calendar year. Scholarship funds vary depending on the quarter that you graduate. See the scholarship website for details. How to Apply: Complete the Centennial Scholarship for Early Graduation Form and talk to your high school counselor. Summary: This scholarship is awarded to Utah students who earn an associate degree in high school or complete a specific Math and Science curriculum at a Utah university. The scholarship helps pay for junior and senior years of a bachelor’s program. It may be used at any four-year USHE public college or university, as well as BYU—Provo and Westminster College. The maximum award amount is $1,250 per semester, renewable for up to 60 credits, four semesters or the completion of a bachelor degree (whichever comes first). USHE recommends that you work closely with high school and college counselors to ensure you’re taking the appropriate courses. The New Century Scholarship webpage has answers to FAQs, info about the Math and Science curriculum, details about renewal requirements and more. How to Apply: Complete the New Century Scholarship Application, available through Step Up Utah. Base Award is a one-time grant of up to $1,000. Students must complete required courses with no grade lower than a C, earn a cumulative 3.0 GPA in high school & submit at least one ACT test score. Exemplary Achievement Award gives up to $1,250 per semester for up to four semesters. Students must qualify for the Base Award and complete required courses with no grade lower than a B, earn a cumulative 3.5 GPA in high school & submit an ACT score of 26. Utah Educational Savings Plan Supplemental Award has a maximum value of $400. Students must qualify for the Base Award and contribute at least $100 to their UESP account during the ages of 14-17 to receive a matching sum. You will always receive the Base Award, plus any other awards you qualify for (e.g. Base + UESP, Base + Exemplary, etc.). The Regents’ Scholarship webpage has answers to FAQs, info about required courses, details about renewal requirements and more. How to Apply: Complete the Regents’ Scholarship Application, available through Step Up Utah, and submit the required support documents. Summary: This scholarship is awarded to undergraduates who are enrolled in an accredited engineering, computer science or related technology degree program at a USHE institution. Recipients are expected to work in Utah, in a field requiring the use of their degree, after graduation. Award amounts vary. Funds are distributed to USHE universities each year and they award the scholarships to students. How to Apply: Contact the Financial Aid Office at your choice of school for more information and an application form. Summary: This program is aimed at students who wish to earn a teacher education degree in Utah. In return for help with tuition & fees, students must agree to work as a K-12 teacher in any Utah school or teach in a critical need school (e.g. hard-to-staff schools). Awards cover the cost of tuition & fees for up to 8 semesters. One year of service in regular schools = one year of loan repayment. One year of service in critical need schools = two years of loan repayment. If you fail to fulfill the service requirement, you’re expected to repay the loan immediately. How to Apply: Contact the Financial Aid Office at your choice of school and/or your high school counselor. Summary: Active duty military and recent veterans (released from active service within 12 months of attending university) can receive in-state tuition rates at public degree-granting and certificate-granting schools in Utah. Immediate family members are also eligible. The Utah Code (UC §53B-8-102) has detailed info about requirements and exceptions. How to Apply: Contact your school’s Admissions Office for details on how to apply. Summary: STA awards are authorized on a course-by-course basis and can be used for the completion of one degree or certificate plan. For example: a high school diploma/GED, certificate (undergraduate, graduate, vocational, technical, licensure), associate, bachelor or master’s degree. STA covers up to $250 of tuition per semester hour, not exceeding 100% of the tuition cost for a course. The maximum annual award for all courses is $5,000. If you receive the State Tuition Waiver (STW), you can use STA funds to cover the Student Body fee (up to $800 per year). Eligibility: You must be a traditional Utah National Guard member is good standing. The Utah National Guard Education website has more details on eligibility, obligations and using the STA with federal benefits. How to Apply: Complete the STA Application and submit your STA request up to 90 days before class/semester starts. Provide a copy of your approved STA form to the school’s accounting office within 30 days of STA approval. Submit proof or validation of your certificate or degree no later than 45 days following completion of the course. Summary: Public universities and colleges in Utah have a specific number of waivers for Utah National Guard members who need help with tuition. This number is limited, so it pays to apply as soon as you can in the year before you attend college. The waiver covers 100% of the annual cost of tuition at the full-rate (12-18 credit hours). How to Apply: Complete the Waiver Application, available through the Utah National Guard. Summary: Recipients of the Purple Heart are eligible for a tuition waiver at all public higher education institutions in Utah. This benefit can be used for an undergraduate degree or a master’s degree. How to Apply: Contact the Admissions Office at your choice of public school. You’ll need to submit proof that you have a Purple Heart. Summary: Surviving dependents of Utah service members killed in action on or after September 11, 2001 are eligible for a tuition waiver (undergraduate programs only) at Utah public institutions of higher education. The waiver covers tuition, but does not apply to fees, books or housing expenses. How to Apply: Contact the Utah Department of Veterans & Military Affairs (DVMA) for an application form. Summary: This program is intended to help eligible Utah veterans who have exhausted post-9/11 education benefits but haven’t finished their degree. The award covers tuition & fees for the last year of undergraduate education leading up to a bachelor’s degree. Award amounts cannot exceed total tuition & fees. How to Apply: Contact the Financial Aid Office at your school for an application. The Utah Department of Veterans & Military Affairs (DVMA) has more information on both federal (e.g. GI Bill) and state benefits for active military and veterans. Many families find that paying for college and handling day-to-day bills puts a huge strain on finances. We discuss various ways to save money in our sections below, but we know this may not be enough. If you need extra assistance with basic services, there are a number of options. To start, Utah’s Department of Workforce Service (DWS) runs benefit programs like food stamps, child care assistance, energy assistance, Medicaid and Temporary Assistance for Needy Families (TANF). The Pre-Screening Tool can help you determine if you’re eligible. Alternatively, you can call 2-1-1 or try the resource databases on United Way of Salt Lake 2-1-1 or the United Way of Utah County 2-1-1. 211 is a free referral service that connects residents with local organizations and benefits. Looking for a food pantry? Need affordable housing? Trying to find cheap child care or mental health counseling? 211 can direct you to the right provider. Or you can talk to your local Community Action Agency (CAA). CAAs have a host of support systems for low-income residents and are happy to offer referrals and advice. Staying in a dorm will help your budget in some ways—utilities are often included, rooms are furnished, commuting costs are nil—and hurt in others. Prices continue to rise for campus housing and some universities have limited options. Even students that opt for the lowest meal plan and share with multiple roommates may still find costs prohibitive. Universities typically list their housing rates and fees on their website. You can plug this information into budget calculators on sites like MappingYourFuture.org and CalcXML.com to compare on-campus costs (meal plans, dorm fees, etc.) with off-campus bills (groceries, utilities, etc.). We also recommend you check whether your prospective school has a housing requirement. For example, BYU requires that all single undergraduate students live in university-contracted housing, either on or off campus. In private colleges and rural schools, campus housing may be the norm for all four years. In these situations, some students save money by becoming Resident Assistants (RAs). You may also have noticed that financial aid packages often exclude room & board. If you’re worried about loans, talk to your high school counselor, the Financial Aid Office and/or the residential life coordinator at your college. These folks will have info on work-study programs and housing scholarships that can help with costs. For example, U of U’s Community in Action Scholarship covers room & board expenses during a student’s freshman year. UVU’s Honors Program includes a partial housing scholarship. Off campus housing is the norm for a number of students, especially those attending commuter schools and community colleges. For example, a lot of SUU and U of U students opt to forgo dorms. Since Utah has higher housing costs than the national average, that choice adds up to bills for rent, security deposits and more. If you don’t want to live at home, you could consider looking for places that rent by the room or searching for apartments farther away from campus. Another possibility is to go to a community college near home for the first two years and transfer to a university (and an apartment) in the last two. Ask your university for advice. A lot of school websites have off campus sections for new renters, with tips, listings and resources. Examples of this include BYU’s Off Campus Housing, U of U’s Off-Campus Housing Service and SUU’s list of Off-Campus Housing Options. Some even offer funding! UVU REC students are eligible for housing scholarships at student housing complexes nearby; the Wolverine Ambassador LEAD Housing Scholarship covers 60% of the rent at Ventana Student Housing. To expand your options, you can also try Craigslist, campus-focused rental sites (e.g. ULoop.com, CampusRent.com, MyApartmentMap.com, OffCampus.com, etc. ), messageboards and word of mouth. Experiencing a housing crisis? Hud.gov has guidance where to find Rental Help in Utah (e.g. subsidized apartments, public housing, etc.) and Homeless Information. The Utah Homeless Shelters directory on HomelessShelterDirectory.org has a list of Utah shelters and transitional housing. Read your lease or rental agreement carefully before you sign it. Most landlords are willing to cover utilities like water & sewer, but they may expect you to pay for cable, electricity, heat and so on. To get a sense of costs, you can ask your prospective landlord or the utility company for a monthly estimate of bills. Or you can chat to former renters about their experience. Do you own your home? Already renting? You may qualify for utility assistance programs. For instance, the state runs the Home Energy Assistance Target (HEAT) program, which is financed with federal funds. You could also look into whether you are eligible for low-income programs from individual utility companies. For example, special services, bill assistance and time payment plans are available for Rocky Mountain Power customers experiencing financial hardships. Your local Salvation Army post will have more info about your options. Almost every college and university has a campus health center where you can receive free or affordable medical services. For example, U of U’s Student Health Center provides immunizations, screenings, women’s healthcare and even pediatric services for children of students. Some schools also offer their own affordable health insurance; ask the health center for details. When that doesn’t work, you can ask your health center for referrals to low-cost clinics or use the Association for Utah Community Health (AUCH) map to Find a Community Health Clinic (CHC). The Salt Lake County Health Department has a great list of Free and Low-Cost Medical Resources. You can compare these results with directories on sites like FreeClinicDirectory.org and NeedyMeds.org. A number of schools, including USU, BYU and the U of U have mental health services on campus. If you strike out there, Valley Behavioral Health (VBH) is a non-profit network of clinics providing treatment for various issues and it has a number of helplines. CHCs may also offer counseling. The national Mental Health Crisis/Suicide hotline is 1-800-273-8255. Teeth giving you trouble? The Utah Department of Health allows you to search for low-cost dentists using your zip code. Another tactic is to see if you live near a dental school (e.g. U of U’s School of Dentistry) or school of dental hygiene (e.g. UVU’s School of Dental Hygiene). Because they’re training student dentists, these schools usually have much lower fees than private practice. A number of USHE institutions (including U of U and USU) have daycare facilities on campus. Some universities even have child care discounts, subsidies or scholarships. For example, U of U students can apply for the Child Care Access Means Parents In School (CCAMPIS) grant, which covers up to 90% of their eligible child care costs, and the School-Life Scholarship. SUU also offers CCAMPIS grants and non-traditional scholarships. Please don’t be afraid to ask about financial assistance. Remember, too, that you may be eligible for federally funded programs (e.g. Head Start) or state, county and community benefits. DWS has a variety of child care assistance programs for low-income families and it operates a website called CareAboutChildcare. Here you can search for child care providers in your area, find tips on reducing the cost of care or talk to a Childcare Agency counselor about your challenges. Commuting costs will depend on your choice of campus (e.g. rural vs. urban), responsibilities (e.g. part-time jobs or children), housing location and more. Whatever your situation may be, have a look at the transportation/transit section of your university’s website. It’s usually dull, but it will have plenty of ideas for cutting costs. You’ll find info on parking discounts, campus shuttles, city bus schedules, bike rental programs, rideshares, carpools/vanpools and local transit discounts. For example, WSU, USU, U of U, Westminster and assorted schools participate in UTA’s Student Pass program and ride the buses for free (ski buses aren’t included, unfortunately). The TRAX line runs right through U of U’s campus. National carriers like Amtrak and Greyhound also have discount prices with students with a college ID. You’ll find campus food banks throughout Utah, including centers at most USHE institutions. If you’re experiencing long-term hunger, please talk to the Financial Aid Office. There may be ways to reduce your meal plan costs, receive leftovers from dining services or apply for jobs that include meals. Sites like LunchBox.com can connect you to free food events on campus. Your community will also be there for you. Even if you are not eligible for SNAP (food stamps), the Utah Food Bank has a Food Pantry and Regional Food Bank County Listing, as well as information on child hunger programs and mobile food pantries. If you are a new mom or mom-to-be, you may also wish to investigate the state’s WIC program. Home to the U of U and SLCC, Salt Lake City gets good reviews for free outdoor activities and efficient public transportation. Sperling’s Best Places notes that the cost of housing is higher than the national average, but college students say they can usually find affordable apartments if they look hard enough. Being in the city will also give you plenty of access to cheap entertainment options (e.g. free concerts at Pioneer Park) and lots of bike paths. Salt Lake City is teeming with organizations that are designed to foster college success. Whether you’re looking for test tutoring or just need a scholarship or two, here are some places to try. The Community Foundation of Utah (CFU) distributes a number of college scholarships to Utah residents. Students will need to fill out individual application forms. The NAACP Salt Lake Branch also provides college & youth scholarships to students attending colleges or universities in the state of Utah. Priority is given to NAACP members. U of U Continuing Education runs classes on ACT Prep, Crafting College Admissions Essays, and a whole lot more. College-focused programs are also offered for middle school and elementary school kids. South Salt Lake City has nine South Salt Lake Neighborhood Centers that serve youth, families and many other residents. Services include classes, after-school programs, a public library and a gym. Do you need help with a specific financial challenge (e.g. food, housing, child care, etc.)? United Way of Salt Lake has a list of resources in Salt Lake County and a Searchable Guide to Community Resources in Utah. The City of Salt Lake City has more general info for residents (e.g. utility providers). Thanks to the presence of BYU and UVSC, Provo is known as a college town. Housing costs are cheaper than Salt Lake City, and groceries and utility prices are generally below the national average. Public transit is provided by UTA, though some neighborhoods are not very accessible by bus. On the other hand, the city has 44 miles of bicycle pathways and trails. Many students head to Salt Lake City for cheap entertainment, but there are plenty of free outdoor activities everywhere you look. When it comes to college, the readiness is all. We’ve listed a number of Provo organizations that can support you on your way to college, but there are more! Ask your high school counselor or career advisor for suggestions. Based in Provo, but serving the nation, American Indian Services (AIS) provides thousands of college scholarships to Native Americans from any federally recognized tribe. Previous recipients have gone to BYU, UVU, SLCC and colleges around the country. Teens Act supports Provo high school students who are at risk of dropping out; about 70% of students are ethnic minorities and 80% of those are Hispanic. Its College & Career Readiness Program includes a student success class, after-school tutoring, parent support and college mentorship. BYU Continuing Education runs a variety of Test Prep courses, including ACT, LSAT and the GRE. Classes are taught by BYU instructors. Do you need help with a specific financial challenge (e.g. food, housing, child care, etc.)? United Way of Utah County has a list of community resources and a searchable database of organizations. The City of Provo has more general info for residents (e.g. utility providers). Orem has a small-town feel, a strong public bus system and housing costs that mimic Provo. Many residents (and students) walk or bike. UVU also has off-campus housing scholarships that are worth investigating. There isn’t a huge amount in the way of cheap nightlife or music venues, but it has plenty of access to the Wasatch Mountain Range and Utah Lake. Everyone has a different need when they’re looking for an affordable education—help with exams, guidance on college applications, extra money for supplies—the list goes on. Here are a few Orem organizations that can be of service. Stevens-Henager College has partnered with the Good Neighbor Initiative to offer free GED test preparation and other career skills workshops to Orem community members. BYU runs an on-campus ACT and College Prep Camp every summer. It’s not free, but students pay a reduced price if they commute from home. The camp includes ACT tutoring, guest speakers and help with college applications. Do you need help with a specific financial challenge (e.g. food, housing, child care, etc.)? United Way of Utah County has a list of community resources and a searchable database of organizations. The City of Orem has more general info for residents.